They're not black, they're not white, but they're red all over! What are they? 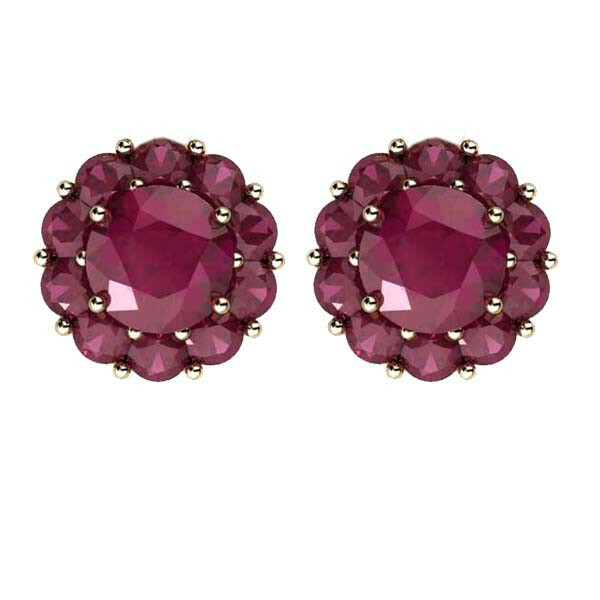 The simulated rubies in these Color My Life simulated ruby stud earrings! The birthstone for July and gemstone that denotes 15th and 40th wedding anniversaries, rubies have been revered in many cultures throughout history. Add them to your jewelry box, or the collection of someone special.